For those leaving Baltimore, long-term and practical BWI airport parking means parking their cars in hotels like the Sheraton, Westin, and Microtel. That’s because the price of parking in the airport garages can range from $7 to $22 a day. You can instead spend just a few dollars per day by parking someplace close and safe. What can you do with the money you save? You can share your good fortune by tipping the people who have helped you enjoy your vacation. In some parts of the world, the tips are what workers rely on to provide for their own families. Tipping, of course, can be rather complicated. You can simplify matters for yourself by having lots of $1 and $5 bills with you. But who should you tip, and how much should you give? Here are some tips that should help. The cab driver. You should tip the cabbie especially if they’re polite and punctual, and they drive without giving you a heart attack. Usually, you can stick to giving about 15 to 20 percent of the cab fare as a tip. The airport shuttle driver. Give them a dollar or two for the ride to your hotel, even if you don’t have any luggage at all. Feel free to give them more if the driver helps with your bag into the hotel. 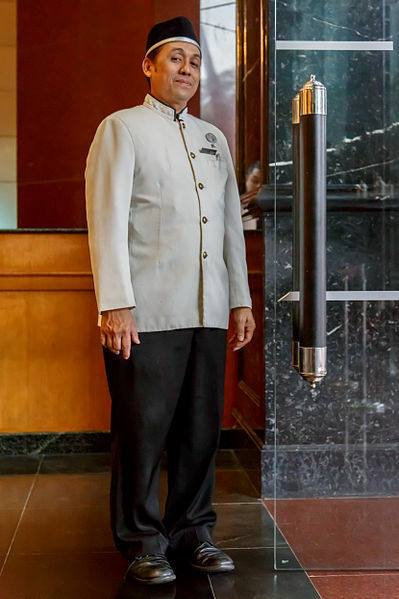 The hotel doorman. You don’t have to give them a tip every time you see them, even if they do open the hotel doors for you. However, you can give them $2 or $3 when they provide some special help for you. 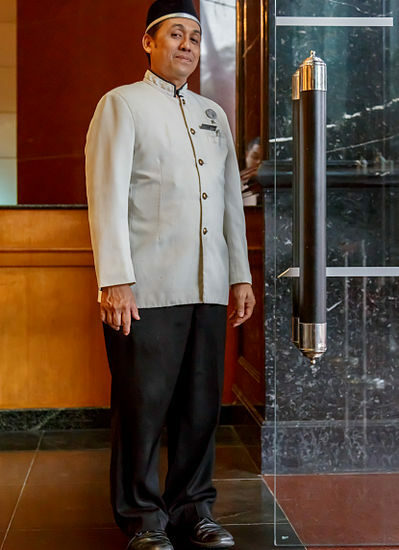 The hotel concierge. These fellows don’t expect a tip when you ask them for directions. That’s part of their jobs. However, you may want to give the conciergea tip if they secure you a reservation at a restaurant or tickets to a theater show. That can be about $5 to $10 each time they help. The valet. You give them a $2 or $3 tip whenever you pick up your car. But at least you don’t have to tip them when you drop off your car. The bellman. This is the person who takes your luggage to your hotel floor. Usually, the tip is about $1 for each bag. Hotel room service. Sometimes it’s great to just stay in and enjoy a meal in your fine hotel room, especially for breakfast. You just need to check the bill first, as sometimes the amount of the expected tip is already included in the bill. If that’s the case, there’s no need to add any more. If the gratuity isn’t included yet, you can add 15% to 20% of the cost of the entire meal. Restaurant server. The standard tip for a restaurant server is about 15% to 18% of the cost of the meal. If the service has been exceptional, you can start with 20% or even more. Spa and massage therapists. The tip should be about 15 to 20 percent of the service cost. Housekeeping. You should tip daily for housekeeping instead of giving a tip at the end of your stay. You may have a different housekeeper each day. The usual rate is about $1 for each guest if you have your family with you. If you’re alone or with a partner, feel free to leave $2 when you’re alone and $3 if you have a partner. Just remember that there are no hard and fast rules for tipping. But it’s just good manners that you tip these workers to show how much you appreciate their assistance.